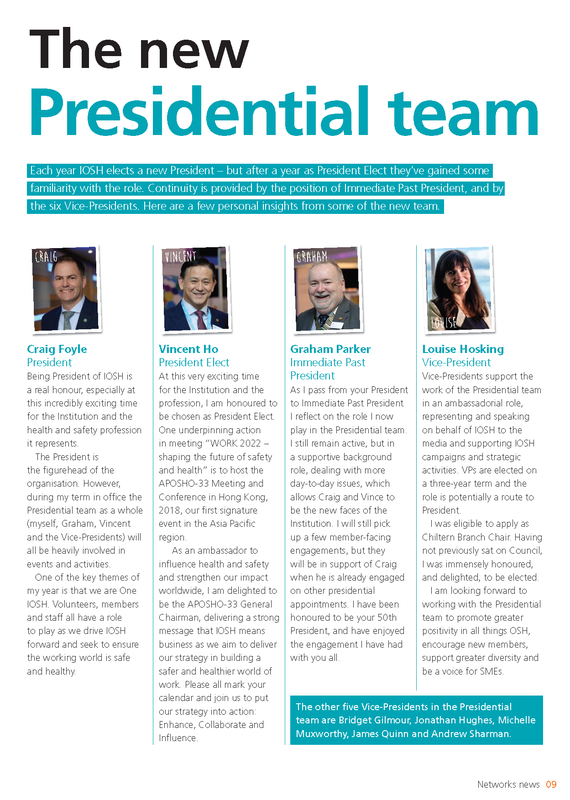 IOSH’s member magazine announces the new presidential team. 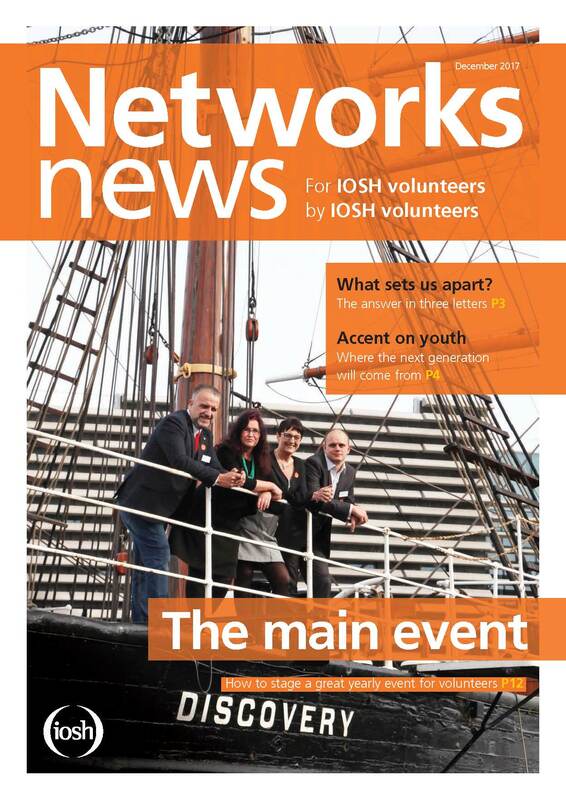 Coverage: IOSH Networks News, December 2017 issue. Each year IOSH elects a new President – but after a year as President Elect they’ve gained some familiarity with the role. Continuity is provided by the position of Immediate Past President, and by the six Vice-Presidents. Here are a few personal insights from some of the new team.